Oklahoma Connection | Key came to Wewoka, Oklahoma, in 1911. In 1935, U.S. President Roosevelt named William Key administrator of the Works Progress Administration (WPA) and during his tenure 53 armories, 359 school buildings, and scores of libraries were built across Oklahoma. 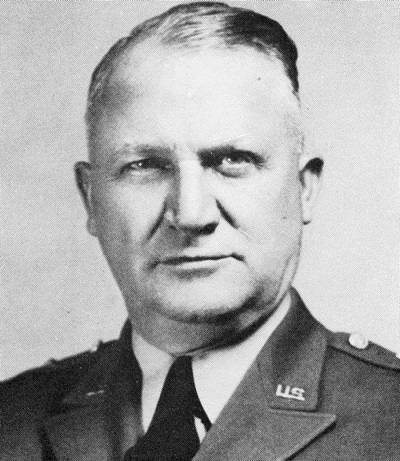 Major General William Shaffer Key was born in Alabama and began his military career in the Georgia National Guard in 1907. He came to Wewoka, Oklahoma, in 1911 and entered the Oklahoma National Guard in 1912 as a lieutenant and was promoted to commander of Company G at Wewoka in 1915. An astute businessman, he developed Key Hardware Co., Key Theater, Key Funeral Home and Wewoka Gas Company before moving to Oklahoma City in 1927. He served in World War I and also served as warden of the Oklahoma State Penitentiary (1924-1927). He also served as chairman of the Oklahoma Pardon and Parole Board (1928-1932) and was named director of the Oklahoma Natural Gas Company in 1948. Key also served as president of the Oklahoma Historical Society from 1950 to 1958.